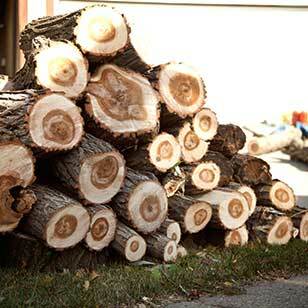 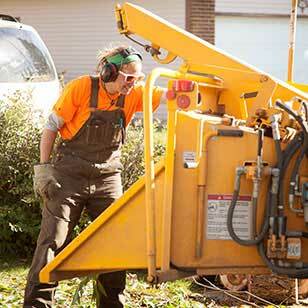 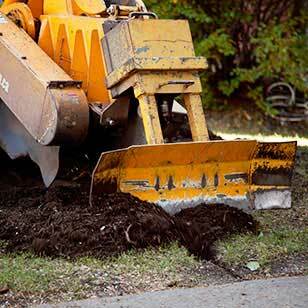 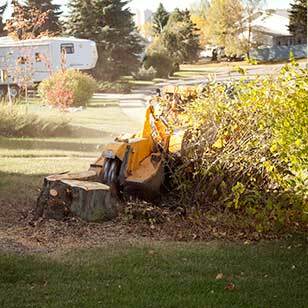 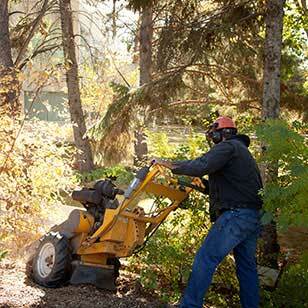 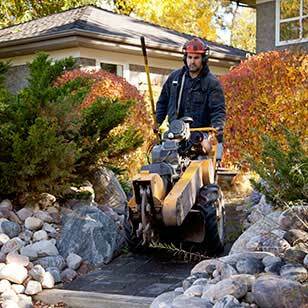 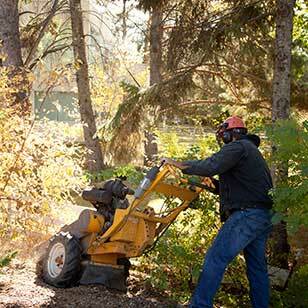 Area Mulching » Edmonton Land Clearing » Got Stump - Tree Services in the Edmonton, St. Albert, Sherwood Park, Beaumont, Devon, Leduc, Spruce Grove, and Stony Plain area. 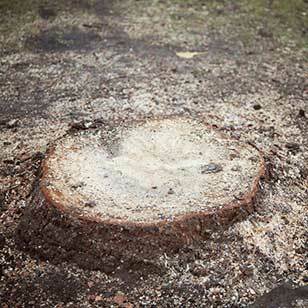 What happens when a large area needs to be cleared of stumps? 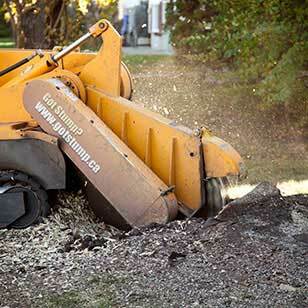 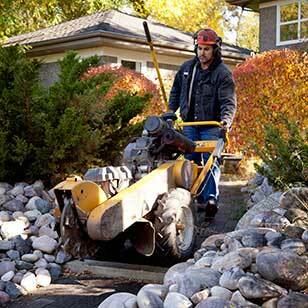 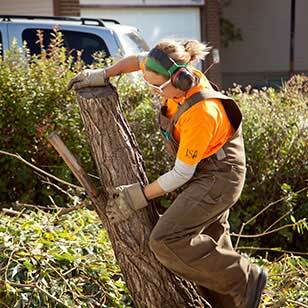 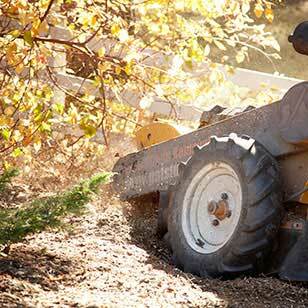 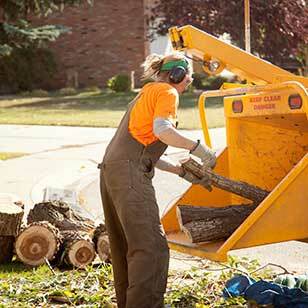 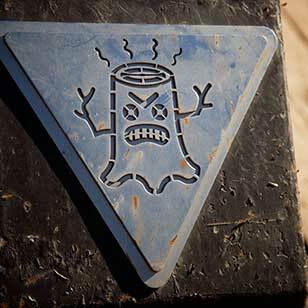 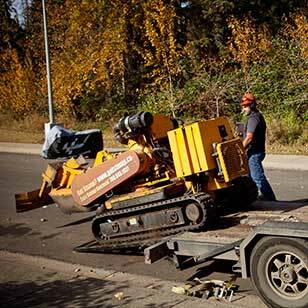 Got Stump can perform area mulching (to a maximum 100' x 100') to grind out all stumps and surface roots. 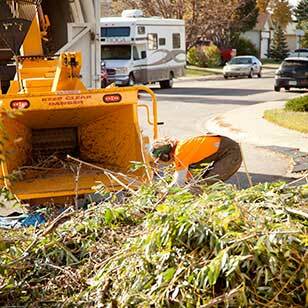 This technique is used to clear city lots faster and more environmentally than other options. 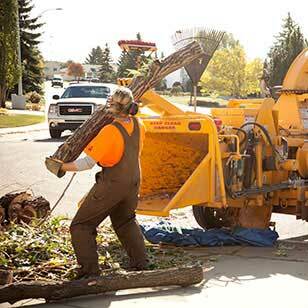 After all, ripping stumps out using a bucket and crane leaves you with a light wallet, as well as unsightly (and possibly dangerous) holes. 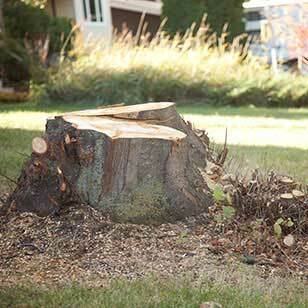 Bulldozing stumps is quick, but will destroy the topsoil and leave you with a legacy of laughable lawn growth. 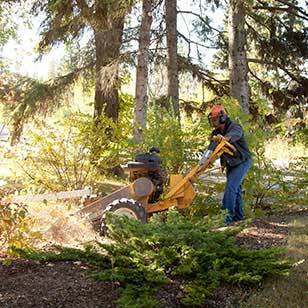 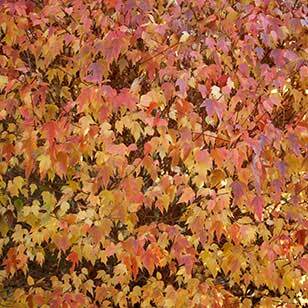 Area mulching is a much less damaging alternative. 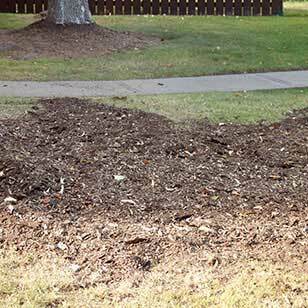 After taking down the large trees leaving only the stumps, the entire area is mulched. 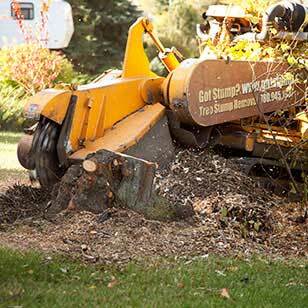 Stumps, topsoil, shrubs, brush – It all gets churned up and ground down, leaving fresh, healthy soil ready for landscaping, replanting, or making dirt smoothies.